Size of this PNG preview of this SVG file: 364 × 364 pixels. 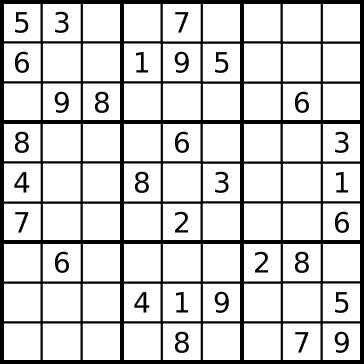 Other resolution: 240 × 240 pixels. 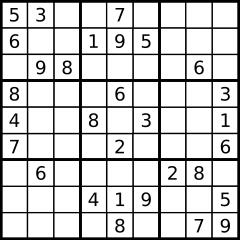 Credit: SVG version of "Sudoku-by-L2G-20050714.gif," a Sudoku layout generated by the GNU program Su Doku Solver and contributed in the public domain by Lawrence Leonard Gilbert. Created in Inkscape.